Pumpkin is a fascinating ingredient-it can be sweet, savory and spicy. It can be used in curries, soups, pies and pastries! Pumpkin’s used in almost every culture’s cuisine-Mediterranean, Latin-American, Korean, North American, Middle Eastern… you name it! It’s best when baked or roasted, in my opinion, because the natural sweetness is enhanced! 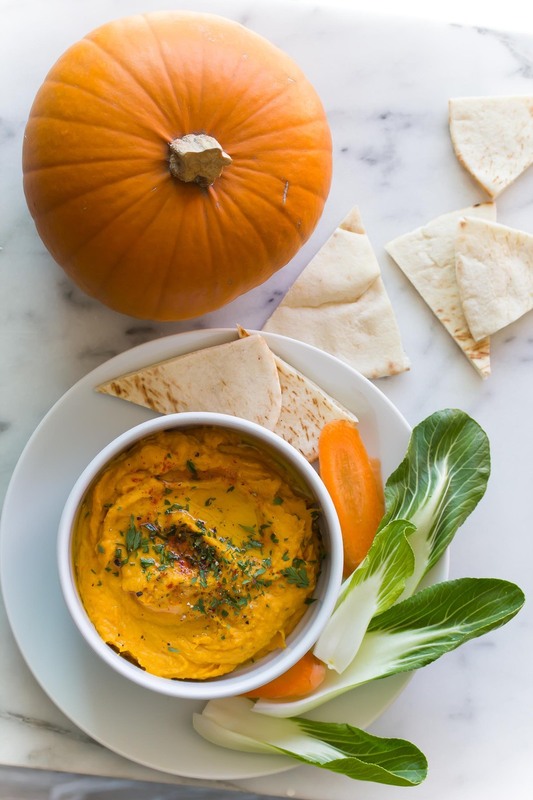 Here it’s mixed in with roasted winter squash in a cozy pumpkin hummus, with a hint of spice. 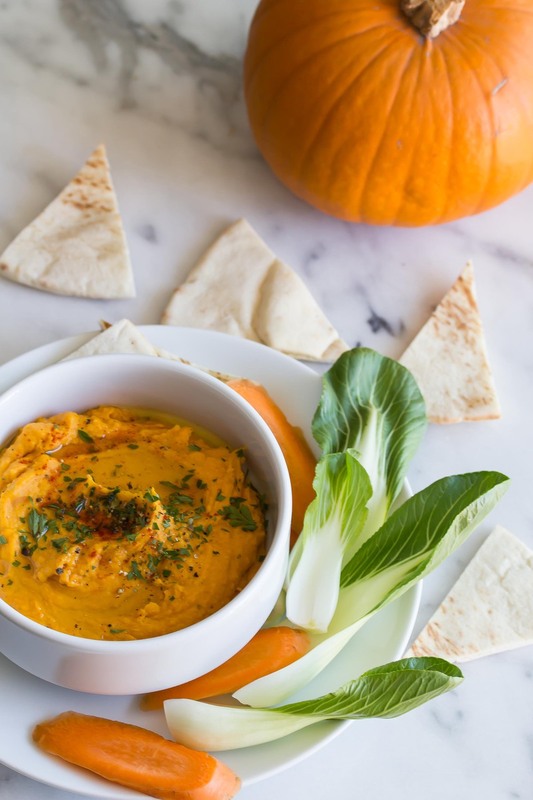 Serve with fresh crudite and warm pita for a delicious autumn snack. 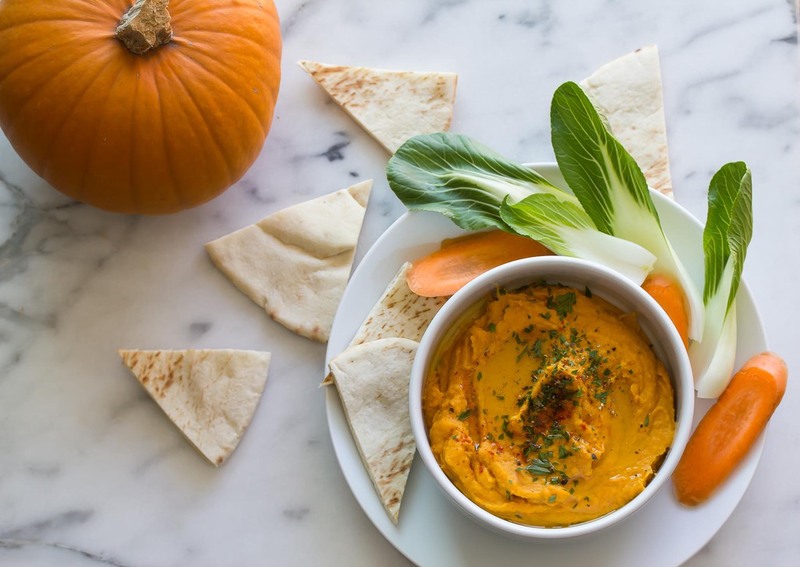 Bring it to a your next fall gathering and share the pumpkin love! For more delicious pumpkin recipes, try my raw vegan pumpkin pie, pumpkin pie smoothie, or pumpkin curry. Learn more about the benefits of pumpkin here.